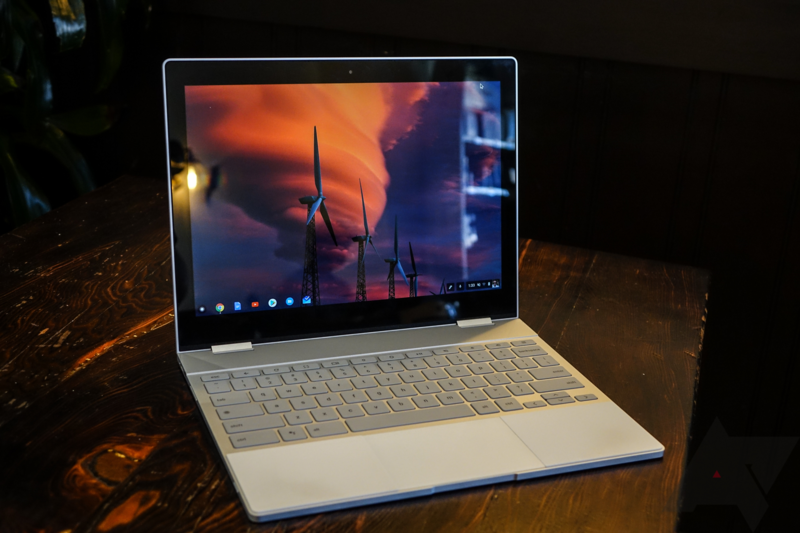 The Pixelbook has been out for the better part of a year now, and it's still the best Chromebook money can buy. It does take a lot of money to buy it, though you might be able to save $479 on this device at your local Best Buy. Most Best Buy stores no longer carry the mid-range Pixelbook, which retails for $1,199 with a Core i5, 8GB of RAM, and 256GB of storage. If you purchase this laptop in-store, it should ring up at $719. It also stacks with the Best Buy 10% education discount (if you're eligible for that), bringing the price to $647.99 before tax. Since most stores don't have this device on-hand, you can get it shipped to the store or your address. We cannot confirm this will work for everyone, but at least one tipster (see above) and several folks on Reddit have managed to get the discount. Keep in mind, you will probably need to go into the store to get this done. This is a solid value if you're looking for a high-end Chromebook. I made the trip over to my local Best Buy and have confirmed this deal is legit. Employees don't know anything about it, so they'll probably look at you like you've got lobsters crawling out of your ears when you ask them to check. 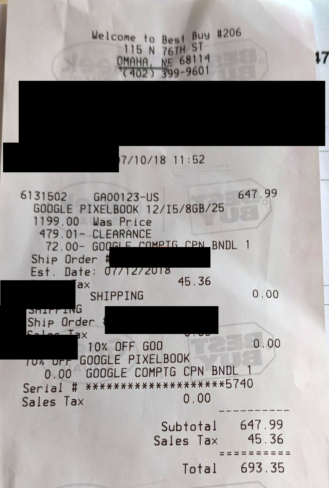 But yes, this is a $479 discount on the Pixelbook at Best Buy.